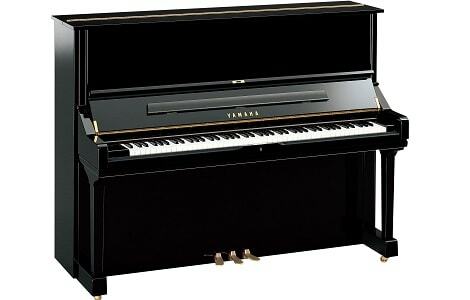 Yamaha U Series pianos have been a leading choice for educational institutions, professional musicians and discriminating home pianists for almost 50 years. Now, thanks to a comprehensive redesign, these world-standard instruments are better than ever, featuring the latest advances in materials and construction. Refinements in all elements of sound-production allow for greater power and projection, and the larger soundboard area with Yamaha’s patented Floating Support System gives today’s U3 a richer, more resonant voice. You can feel the difference too, with an upgraded action for even more precise control over articulation and dynamics. A sostenuto pedal allowing grand piano like damper control completes the professional specification. For more information, visit the Yamaha website.